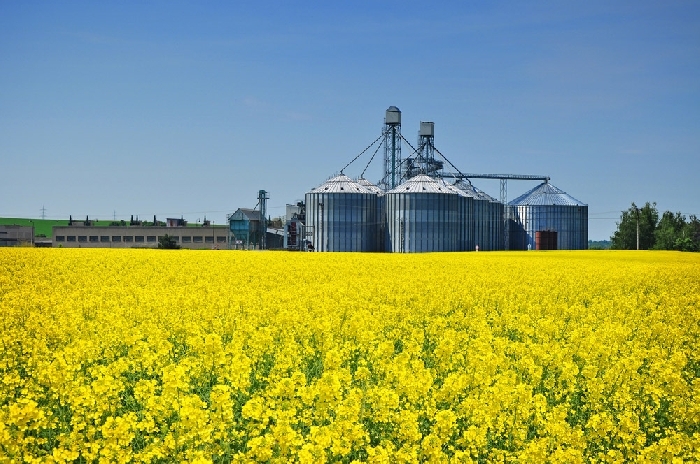 Conservative Agriculture Shadow Minister Luc Berthold told the World-Spectator in an interview Thursday that he believes the government needs to recognize the canola issue as a crisis and take a stronger stand. China, the largest customer for Canadian canola, has been blocking shipments, initially citing impurities in the shipments, but making clear that Canada must “fix past mistakes,” which most observers interpret to mean the arrest of Huawei executive Meng Wangzhou, which has angered the Chinese government. “I’m trying hard to talk about it in the House of Commons, but the Liberals always block me,” he said. He said the government refuses to acknowledge that the issue is about more than pests in canola shipments. “The Chinese government had initially said this was about pests found in a shipment. We asked CFIA and Richardson and they are confident there were no such pests in the shipment. That’s why we are asking our government to act, and to talk to the Chinese government to try to solve this issue. “In one communication, the Chinese officials said we must fix our mistakes from before,” he said. “We could only interpret that the mistake was the arrest of the Huawei CEO, but we can only presume that. “There is a larger issue in this file. The government wants to take it at the scientific and test level. In the meantime, if we don’t engage with the Chinese government we are losing time and the canola producers will pay for this delay. “It’s been more than 10 days now since the Ag Minister sent a letter to her Chinese counterpart and we have heard nothing back from the Chinese government. In our opinion this is a huge mistake, to not put pressure on China, to not try hard to fix this trade issue with China, and addressing it at the highest political level possible with China. We should raise it at the political level, we should engage with China, we should talk to the ambassador. Berthold said the government has been blocking debate on the issue. “At the ag committee we have been asking for an emergency meeting since the beginning of the crisis, requesting the Ag Minister, the Trade Minister and the Foreign Affairs Minister to testify before us, and they have refused. “The Ag Minister went before the trade committee to testify about the crisis but she is refusing to come before us to talk about this issue. As you know, we are almost at the seeding time, so a lot of farmers have to make decisions for this year’s crop. “This is an emergency and we feel that they don’t have the sense that this is an emergency for canola producers. “We must address it as a national economic issue. “That’s why we have requested seven times to have an emergency debate in the House about this issue, to make sure that all Canadians know what is happening right now, and seven times they have refused to hold this debate in the house. Berthold says he doesn’t understand why the government has not treated the issue as more of a crisis. “They have named a working group with the Canola Council, that’s fine,” he said. “They have questioned the finding about the pests, but we must go further, and they just don’t. “That’s why we asked for the minister to come before our committee. That’s why we asked for an emergency debate. We want to have those kinds of answers from them. But we don’t know what’s happening. What would a Conservative government have done differently? How serious does he think the crisis is? The World-Spectator requested an interview with federal Agriculture Minister Marie-Claude Bibeau for this article and her office was unable to set up an interview before press time.